One of my friends went on a rampage today retweeting remarks about going paperless and it reminded me of something I made two years ago. 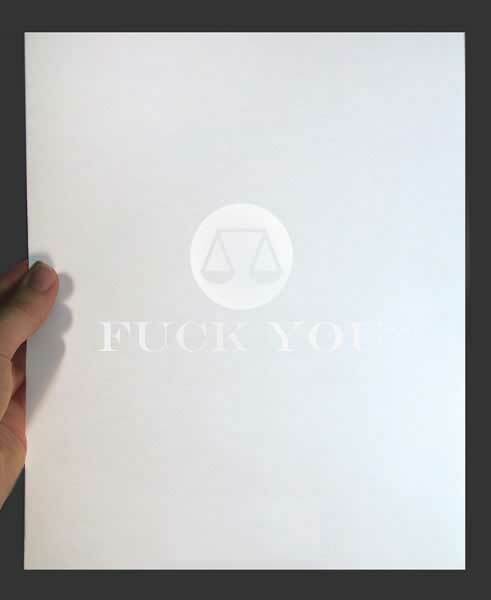 If you are forced to print something you might as well use watermarked paper like this. How do you make your own watermarks so cleanly? Ah, that's a bit disappointing. Sorry. I would waste all my resources if I actually made prototypes of all the ideas I have. It's better to just make a rendering of it to get it out of my system. No worries, easily understood, I had just hoped I might be able to watermark my own paper. Must. Not. Pick. Up. Acorns.